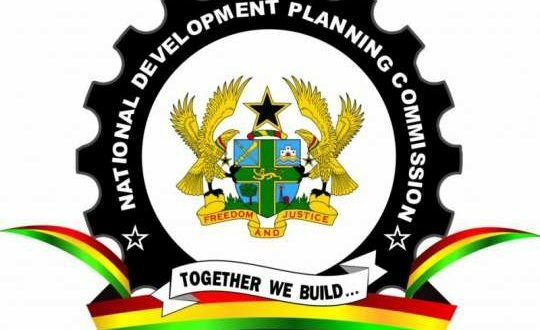 The National Development Planning Commission (NDPC) invites applications from suitable qualified ghanaians, who are dynamic, goal-oriented and result driven with exceptional leadership qualities for appointment to the under-mentioned position. • Serve as in-house resource person on political governance and democracy, institutional reforms, local governance, conflict management and resolution, and global affairs, especially during NDPC policy dialogues on governance with sector ministries, department and agencies, and formulation of national development policy frameworks. • Plan and coordinate on a continuous basis comprehensive research programmes and review of study programmes, identifying data and research needs as related to political governance and democracy, institutional reform, local governance, conflict management and resolution, and global affairs, within the Development Policy Division. • Lead the preparation of policy papers/notes, statements, briefs, press articles, and periodic updates on political governance and democracy, institutional reform, local governance; conflict management and resolution, and global affairs, and make presentations at both national and international conferences. • Coordinate and facilitate nationwide policy advocacy and dialogue on issues related to political governance and democracy, institutional reform, local governance, conflict management and resolution, and global affairs, with key stakeholders (comprising public institutions, Parliament, universities/research institutions, donors, media, civil society, private sector). • Assess the information needs of the public and other stakeholders - i.e., ministries, departments and agencies (MDAs), development partners, civil society organisations - and design appropriate strategies for engagement with the public throughout the country to enhance citizen participation at all stages of the development process, raising awareness among national, sector and district administrations. • Manage events and preparation of publications on issues related to political governance and democracy, institutional reform,n local governance, conflict management and resolution, and global affairs and dissemination of main report findings. • A master's degree from an accredited tertiary institution in Political Science, Law, Political Economy, Government, International Development or International Affairs, Democracy and Governance, EconomiCS, Conflict Resolution or any related field. • A minimum of eight (8) years' post-qualification relevant working experience, of which at least three (3) years have been in a senior management position in a reputable institution. • Relevant professional experience in a development cooperation institution with emphasis on support to governance reform is important for this position. • A record of research and publication in one or more in the Political Governance and Democracy, Institutional Reforms, Local Governance, Conflict Management and Resolution and Global Affairs. • Very good knowledge of planning, policy analysis and formulation, and performance measuring, monitoring and evaluation methodologies. • Ability to lead in the determination of the effectiveness of policy dialogues with government, Parliament, civil society, research institutions and universities, the media, multilateral and bilateral donors, is a prerequisite for this position. • Effective capacity to conduct research, qualitative and quantitative data analysis and interpretation. • Ability to communicate complex developmental policy issues. • Political Science, Law, Political Economy, Government, International Development or International Affairs, Democracy and Governance, Economics, Conflict Resolution. • Understanding of globalization, regional integration and cooperation. • Extensive experience in policy-related work, planning and management of development cooperation, projects and programmes.